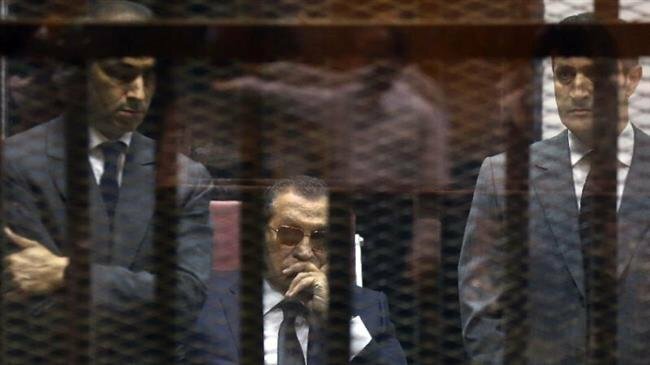 The two sons of ousted Egyptian president Hosni Mubarak have been arrested over charges of embezzlement. Alaa Mubarak, 57, and Gamal Mubarak, 54, were taken into custody on Saturday in connection with longstanding charges of corrupt trading of stocks and shares. Prosecutors first pressed charges against them in 2012 for allegedly violating financial trading rules in a deal involving the shares of Egypt’s Al Watany Bank. It was not clear why the court has ordered the two to be arrested now. The two brothers have denied any wrongdoing. They have already spent time in jail for their involvement in a number of other crimes since their father was overthrown in the 2011 Egyptian revolution after ruling for three decades. In 2015, the two were sentenced alongside their father to three years in prison for embezzling at least 125 million Egyptian pounds from public money that had been allocated for maintaining presidential palaces. Alaa is a businessman, while Gamal, a former banker, was being groomed to succeed his father. The elder Mubarak, 90, was freed in March 2017 after a top appeals court cleared him of charges of being responsible for the deaths of protesters in the 2011 revolution that ousted him. About 850 people were killed in the course of the Egyptian revolution. While Mubarak was initially convicted and sent to jail in 2011, the top appeals court cleared him after several years of time in jail and also rejected demands by the lawyers of victims to reopen civil suits. That left no remaining option for appeals or retrials.